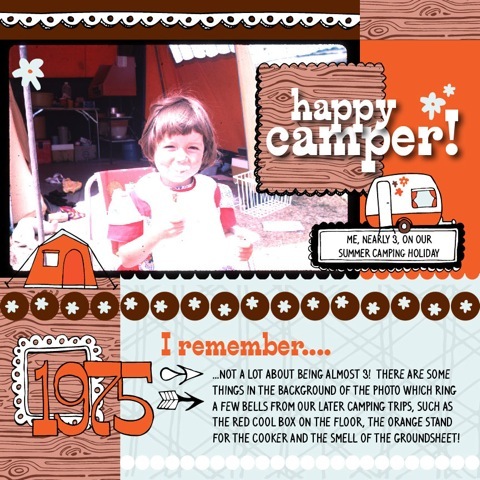 Here is what I did with the happy camper theme from Kuler. See my previous post on Kuler for more info. 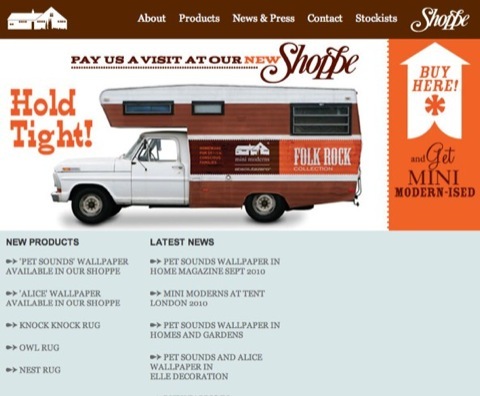 The whole page, and not just the colour scheme was inspired by the home page of the website minimoderns.com. The photo was one that my dad had scanned in from some old slides. He gave me a large collection of them recently, and they are a joy to look at. There are some to laugh over and some to cry over, and they bring back so many memories. Be encouraged, scrapbookers and those who try and maintain a photographic record! This is why you are doing what you do, because one day, if not already, it will mean a lot to someone. As far as this page goes, I thought it was about time I featured for a change! This photo also fitted with the colour and subject matter that I was going for when I saw the minimoderns website. It is ages since I have done a completely digital scrapbook page. It was all I used to do a while back, and then after working on ScrapBook inspirations (the mag), I rediscovered a love for paper again. On this page I have used a couple of bits and pieces from the digital designs I have put on Etsy. The scalloped border along the top is from the lace and borders package, and the two black and white scalloped frames are from the frames package. The criss-cross pattern as a background on the light blue colour is part of the patterns and overlays collection. All the other bits and pieces I created as I went along, and I’m in the process of pulling them together to make a page package on the camping theme. I had such fun doing it! All I need to do now is create a front page package sheet for it and upload to Etsy, but I’m away from my own computer this week, so it will probably happen at the weekend. Stay tuned – I’ll post the details of that when I’ve uploaded it.